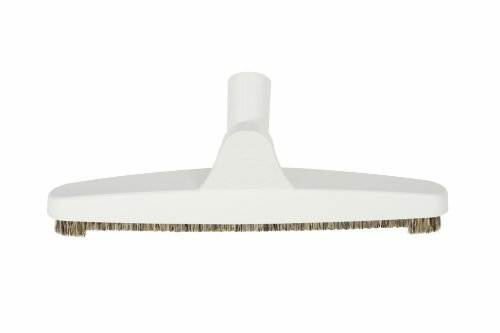 This premium 12 inch wide natural bristle bare surface floor brush is ideal for vacuuming all types of bare surface floors, including marble, hardwood, tile, linoleum, laminate, parquet, and can even clean low pile rugs. 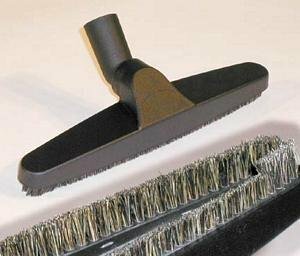 The bristles are made from natural horse hair which provides a very soft brush which will not scratch even high gloss floors such as marble. The 90 degree swivel neck makes maneuvering around furniture, or underneath tables incredibly easy. The diameter of the swivel neck measures 1.25", which will fit nearly every central vacuum system on the market, including; NuTone, Beam, VacuFlo, Hayden, CenTec, Electrolux, Dirt Devil, Hoover, MD Manufacturing, and many others. 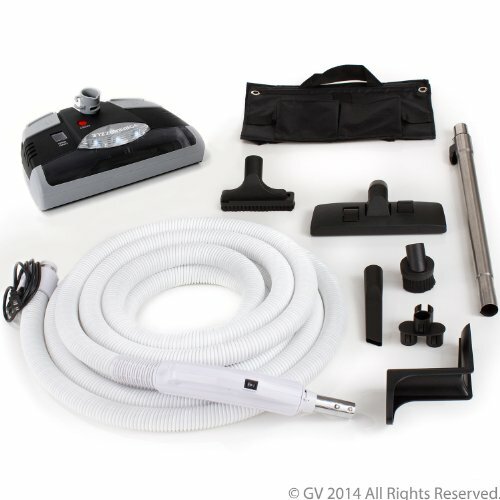 It also works with many stand alone vacuum cleaners such as Dyson, Hoover, Bissell, Eureka, and all other brands which use a 1.25" diameter hose or wand. Risk free money back guarantee on size, fit and quality. The 92718 kit has a two position on off switch hose which creates a circuit through the two low voltage electrical contacts in your inlet valve. You will see the wall end has a two metal contact plates separated by a thin plastic landing. These plates create the circuit through the switch in the hose handle that permits control of your central vacuum. There is a small tab projecting from the top of the hose end that helps you orient the hose in your inlet. This tab should be located at the top of the inlet valve opening as you insert the hose end. The wave combination nozzle is designed to move from carpets to hard floor without the need to make an adjustment. There is a simple friction connection between the floor nozzles and the end of the telescopic wand to make changing tools easier. The wand ratchets at one inch intervals from 25 to 42 inches so you can adjust to a height comfortable for your use. 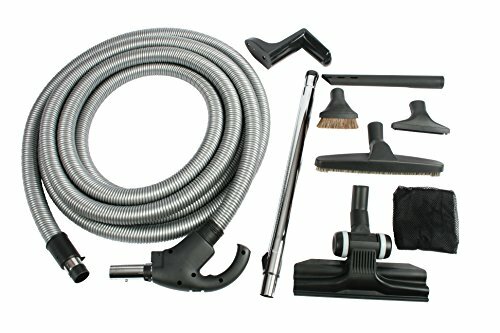 Many find the 92718 an ideal second package to complement their electric brush kit for the portion of the home dominated by hard floor surfaces like the kitchen, family room, den, or basement. 1 White Hayden Vacuum Inlet. Part # 791500WNL. Brand New. This inlet has a 1.5 inch opening to accommodate most hoses. 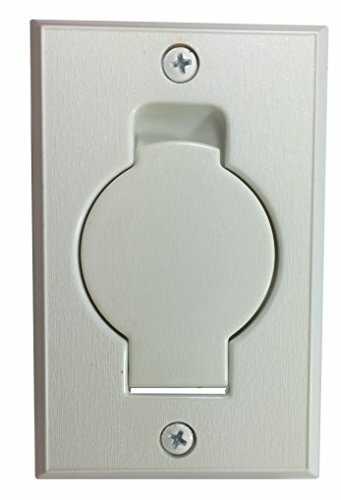 To install simply attach the low voltage terminals to the back of the inlet. Hayden Superhoses have been discontinued from the manufacturer with parts no longer available. This new electrified hose has the ability to convert the older hayden hoses with powerheads to a universal hose. 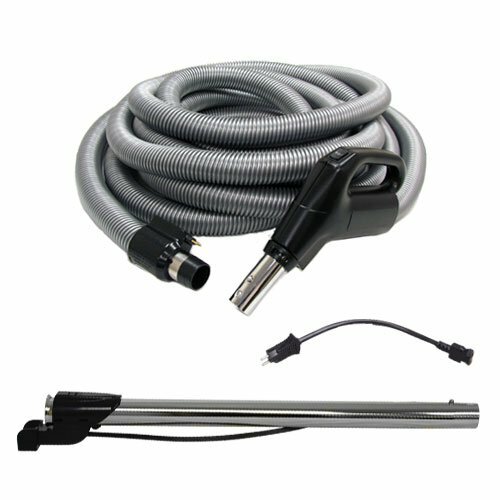 The item consists of a 35' electric hose with a direct connect hose end. A new upper wand is included to allow the new hose to match with your existing lowerwand and powerhead. An adaptor cord is added to help with the conversion. The 38342 1.25" hard floor brush is 12" long, allowing for a bigger area covered per cleaning stroke. The brush is a soft natural fill that is extra heavy to support the brush on any hard floor surface, again gliding effortlessly so there is no risk of damage to expensive finishes. The extra thick fill will even handle uneven surfaces without issue and the wide cleaning orifice will capture large debris while delivering the power of the vacuum to the far edges of the tool. This model is soft gray in color. The CT20DXQD mirrors the features of the CT20DXQS, but without the dirt sensor. 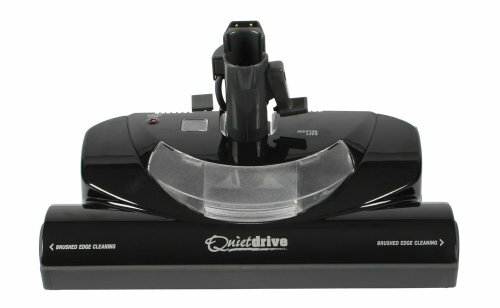 This Quiet Drive power head has a low slender profile and features a full 14" cleaning path. It has a double action release neck, letting the brush be easily separated from the wand without the requirement of bending over and struggling with disconnecting the two. It features the same over-molded wheels and full wrap around bumper as the rest of the Quiet Drive line, helping preserve furniture and baseboards. The No.38309 TP-210 TurboCat utilizes a horizontal turbine design to keep the profile of the tool at a minimum for cleaning under and around furnishings. The T-shape permits cleaning up close to the legs of tables and chars. It also has a soft wrap around bumper and an agitator insures consistent performance on even the highest pile carpets. The turbine is gray in color. 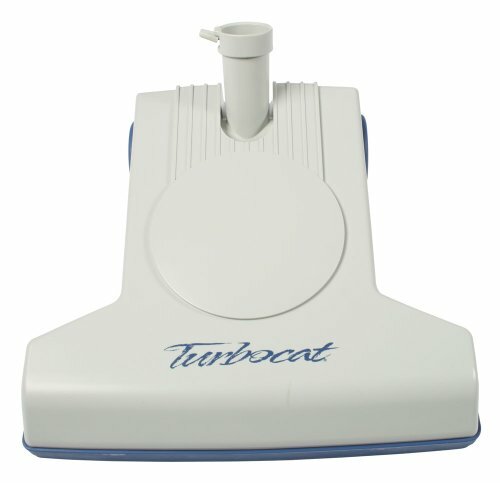 The TurboCat requires NO separate power cords, batteries, or additional electricity. 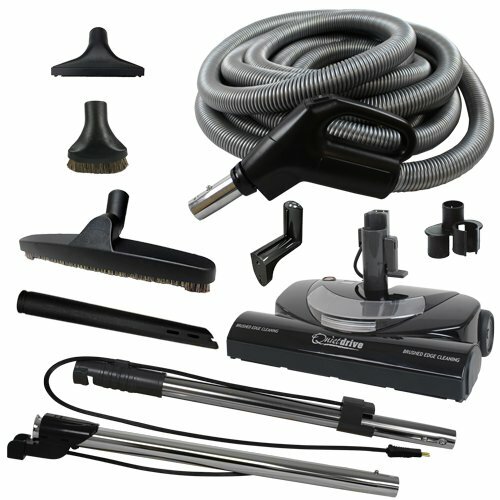 It also contains a unique brush roller, resulting in enhanced airflow and enhanced dirt pick up. The chevron pattern design includes dual height bristles to ensure constant contact with the floor surface. It's quiet as a mouse, with its bearing insulators which hold it firmly in place, reducing vibration. The easy glide wheels provide top of the line maneuverability and responsiveness. Looking for more Hayden Central Vacuum Systems similar ideas? Try to explore these searches: Sea Island Cotton Antibacterial, Neon Driver Door, and Washington Capitals Nhl Keychain.